New Delhi, Feb 6 : Minister of State in the Ministry of External Affairs Preneet Kaur has said India will collect biometric data of foreign nationals applying for visas to visit the country. 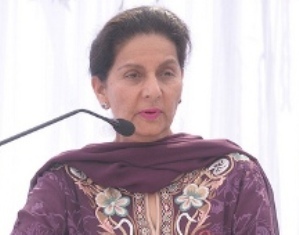 Kaur informed members of parliament in reply to a question in the Lok Sabha yesterday that the government has launched a pilot project in the Indian Consulates to collect the biometric data of all foreign nationals applying for visas to India. Biometric procedures have been started in a phased manner in Indian missions and posts abroad. Presently enrolment of biometric data for visas has been introduced in 32 India n Missions and Posts abroad. Remaining Missions and Posts are expected to be covered in the course of the current year.